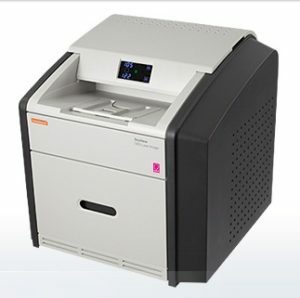 A Mammo Xray film printer that’s low cost & affordable, this mammography laser xray film printer system has a dual draw built with the ability to print 4 sizes of films, unlike any other dual tray models manufactured by other companies which has the ability to print only 2 sizes of films. A DV 5950 was formerly called the Kodak Laser Printer or Kodak Xray film printer. This Carestream laser printer can be positioned on a table top with a small compact & a light-weight design, its the most sought out & in demand printer across the world. 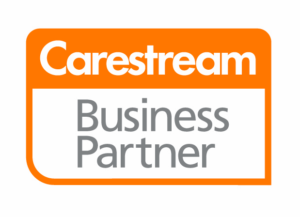 The AIQC – or Automatic Image Quality Control performs film calibration automatically without manual user intervention which is again an intellectual property right held by Carestream. This means its a technology patent & in other words the densitometer allows films print quality check on every print. You get the proven advantages of DryView technology, true tabletop convenience and enhanced mammography capabilities. The new CARESTREAM DryView 5950 Laser Imaging System represents a breakthrough for healthcare radiology imaging providers with high quality & imaging clarity standards for patient radiographs. It offers a perfect integration of high performance and low cost printing. You get the proven advantages of DryView technology, true tabletop convenience and enhanced mammography capabilities.